Why are some variants I add on Shopify considered duplicates on Modalyst? When a product is first added to Shopify, the Variant is listed as “Title”. Although Modalyst will sync this correctly upon initial import, when adding a variant, this must be changed to either Color, Size, or Material. Please change Title to be either Size, Color, or Material. An item can have just one of these variants and does not need to have more than one variant. 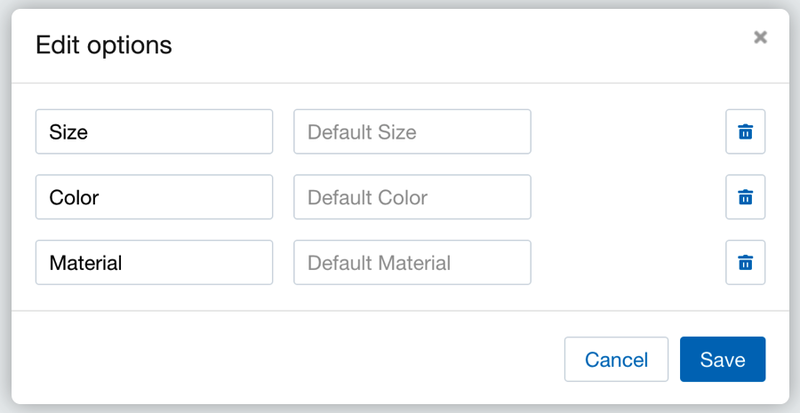 For example, most products only have 1 variant option, such as size. If you require further assistance with adding variants, feel free to e-mail us at team@modalyst.co and we will be happy to help!